Knowing the advantages and disadvantages of self-service BI is fundamental to its success within the organization. 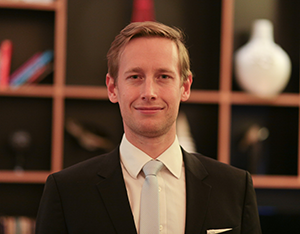 It is important when you plan to introduce self-service BI and prepare a business case to assess whether it actually achieves what you hope it will. Empowering users: Users become self-reliant and empowered by the ability to create business intelligence apps all by themselves with little to no help from IT. They know best what they want to see and extract from their data. Self-service BI allows them to build their own personalized analytics, to their own requirements, at their own pace. The speed of development: If a proper framework is in place with setup access to various data sources and a controlled environment where publication of new and enriched apps is streamlined and automated, app development and the subsequent delivery of new insights can be significantly sped up. This not only delivers results and information in a timely fashion but also allows for a more agile and iterative approach to developing analytics with a short feedback cycle. The IKEA effect: The cognitive bias described earlier in this chapter lets users perceive the apps in which they had significant input as being much more valuable. While biased, this greatly encourages users to get involved and promotes the adoption of data analytics within the organization. As most organizations are investing to become digital and more data-driven, the adaptation of data analytics is an integral part of it and the IKEA effect certainly helps. More about the IKEA effect here. Relieving IT: As organizations become more data-driven, the pressure on IT to deliver faster becomes evident. With applications deployed and used by the business, an inconvenient overhead emerges to support these applications, which prevents IT from doing any further development of new ideas and data sources. This bottleneck not only puts pressure on IT but also frustrates the business, which has to wait longer for the realization of its projects. With self-service BI, power users from the business can become an integral part of the development, relieving the pressure on IT. This frees them to think about more strategically and technically challenging tasks and focus on value-added development for the company rather than just keeping the lights on. Becoming proactive rather than reactive: By having the data readily available, and with the possibility of creating new analytics being easy, the business can start becoming more proactive in its culture. Rather than receiving reports, agreeing on actions, and getting a feedback report within the next cycles to confirm whether its strategy was the right one, the business can become more data-driven and not only receive a faster feedback but also spend more time investigating the data to make better-informed decisions. While this sounds like a sound generic benefit, it is only with self-service BI that this becomes possible in its most efficient way. Reduced technology costs: It is possible to cut down on technology costs at various ends by deploying self-service BI. For example, by reducing the involvement of IT and handing over the bulk of the development to the business user, it is not necessary to spend as much money on getting consultants on board for development purposes as with traditional BI tools. At the same time, self- service BI (with its ease of use) allows for an increased speed of development and subsequent decreased time to market, which also reduces the costs associated with deploying the technology. Lastly, due to the speed of development and the possibility of integrating agile project management with lots of iteration, as well as involving the business end user into the process, self-service BI projects can have a much higher success rate, which also effectively brings down the overall technology costs within the organization. Mobile: This is possible and a novelty. If Qlik Sense is set up correctly and the user has had some basic training, it is possible to create analytics and basic dashboards on mobile devices such as the iPad. Qlik Sense's ease-to-use and capability to create compelling dashboards allows for a pioneering way to develop on the go, something which has rarely been possible so far and only in a limited capacity. Data Literacy: Just as literacy is the ability to derive meaning from the written word, data literacy is the ability to derive meaning from data. In more technical terms, data literacy can be referred to as the ability to "consume for knowledge, produce coherently and think critically about data." 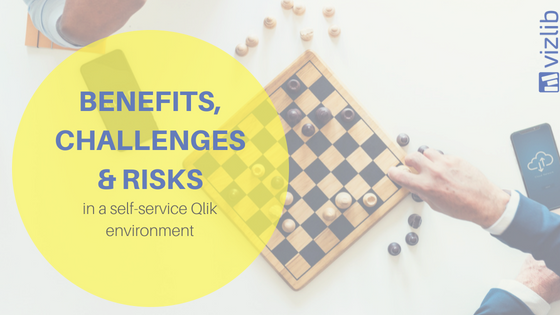 Qlik Sense has put significant effort into making the new self-service BI technology as simple to use for the business end user as possible. Dragging and dropping functionality is omnipresent, limiting the use of keyboards required as well as the necessity of writing of code at all. While this works for very basic and simple solutions, there is no way around having to upskill in basic concepts of data modelling, data aggregation, and data presentation within Qlik Sense, or for that matter any other self-service BI tool. Qlik Sense, in particular, has a very powerful associative in- memory calculation engine, which, however, requires the data model to be set up correctly, with underlying tables linking or the right keys, for the front end to aggregate the numbers correctly. At the same time, summing, averaging, or obtaining the max or min value is easy but writing more sophisticated aggregations, for example, based on dates, deltas, or totals, requires training in set analysis. Data modelling techniques very quickly become relevant if the user wishes to load more than two or three data sources. For the user or power user, as a matter of fact, to create more than basic dashboards, the organization needs to invest in training. Data quality: Qlik Sense boasts about its capabilities to bring together various data sources into one dashboard in a user-friendly way. While powerful, it presumes the data loaded into Qlik Sense is of the highest quality, has been validated, and is coherent, and excludes the possibility of invalid combinations of the data models. This assumes the perfect scenario where the user picks various data tables like in a shop and can immediately derive insights from what has been loaded. While hypothetically possible, if the organization started using Qlik Sense since its inception, it is quite frankly unrealistic. There are disparate systems producing data, different teams have a diverse understanding of the same business and dissimilar ways of capturing meaningful and correct data across the organization. Bringing it together into one place without any validation process creates a mess and chaos which will not produce any meaningful analytics. If a proper data governance, ideally within a data warehouse, is not in place, self-service BI will not work, and will at best only be loading one data source at a time, diminishing the value-return of the technology investment. This risk, however, is an ongoing problem of poor data management within organizations and not specifically related to Qlik Sense; Qlik Sense only brings this issue to the surface. To mitigate this risk, there needs to be an organisational layer between data within the organisation and the data available for Qlik Sense to control, validate, and clean the data made available for self-service BI. Firstly, IT needs to guarantee that the user, while building their own dashboards, is in no position to break the system for everybody else who is using it. The bulletproof solution would be to limit the user from doing anything but this would defeat the purpose of self-service BI and diminish the value of Qlik Sense. This introduces a constant struggle between freedom and value versus control, which not only raises a lot of discussions but can initiate conflict or tension within the departments in an organization. There are a couple of areas of middle ground in this issue which will be presented in later chapters, but getting to that point will require educating both sides of the fence. Secondly, with limited governance, there is a lack of testing and validation of the reports produced by the users. Using different aggregation logic and terminologies, or simply making errors, Qlik Sense is error-prone and it is dangerous if a dashboard is distributed to a wide audience, who then possibly use the results and insight to support their decisions and actions. By misrepresenting information, it is possible for a BI tool to do more damage to an organization than it could ever bring in value. Users need to be critical thinkers and now even more so. This is especially applicable to self-service BI where looser governance is required. To provide you with a suitable analogy by Karl Pover, it's like going from reading news from a few, established news organizations to reading news from your social media feed. Basic dashboards and data analytics: Whether or not this is a challenge depends on how the organisation is looking to utilize Qlik Sense. Qlik Sense predominantly produces very basic dashboards with uncomplicated aggregations where a simple idea can be presented and analyzed. Doing more sophisticated analysis, even to the extent of bringing in machine learning elements, requires either training, hiring a specialist resource, or integration with external systems. This then takes self-service BI back to becoming normal BI, where the users are not able to do these things themselves. The same applies to Qlik Sense’s advertised unlimited possibilities with the QS API, where compelling and super amazing mashups can be created. But this is not self- service, this is old-school web development, which not only requires a specific set of skills but also has a longer time to market and a more complicated development process. Inconsistent design principles and terminology: If everyone is able to build their own reports and dashboards in Qlik Sense, it is not unreasonable to suggest that everyone will design their apps to their own liking and style as well as use their own terminology in describing business insights. This possible inconsistency can be annoying to users and makes it difficult to promote the brand of data analytics within the organization. Inconsistencies, especially in terminology, can also lead to misunderstandings. To overcome this risk, a design principle and terminology framework need to be in place and monitored by IT. Missed last week's post on user types in the Qlik Sense self-service environment? Find it here. Check back next week for a piece on the definition of self-service.